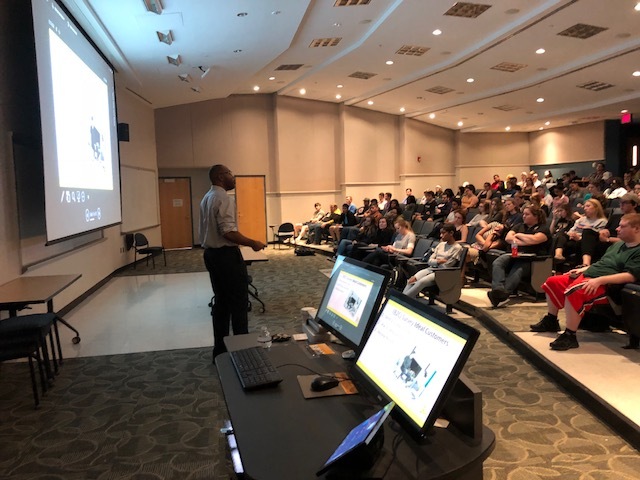 RICHMOND, Va. - April 5, 2018 - PRLog -- Founder and small business marketing consultant Patrick McFadden visited the Virginia Commonwealth University campus on April 4th to speak on his organization's approach to small business marketing which weaves together proven tools and tactics in a step-by-step marketing process to show business students exactly what's involved in marketing and growing a business. This talk offers insights gained from a handful of years of successfully working, in the field, with real-life small businesses. Named a marketing thought leader by American Express OPEN, McFadden draws on his practical, in the trenches, real world years of experience to bring audiences of all kinds to the point where they can see possibilities. He writes and speaks about marketing as a process, the way context changes results, differentiation, being a practitioner, and most of all, giving more than you take. He has written over 500+ articles that have been published on sites such as Yahoo! Small Business, Business2Community, Medium, LinkedIn Pulse, Greater Richmond Small Business Development Center, Infusionsoft, Banks, Credit Unions and more. McFadden is Founder of Indispensable Marketing. He leads the firm from one audacious idea that marketing for a small business can "make your phone ring" when practiced in a "diagnosis before prescription" and process fashion.